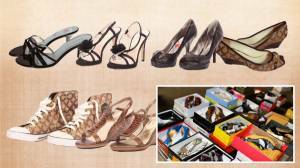 We Carry a Variety of Wholesale Shoes Liquidation Lots. Please review the listings below for further details. All shoes are paired and boxed. 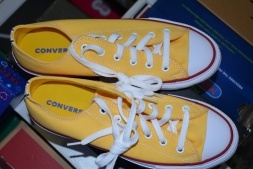 Includes a variety of Adult Men & Women shoes as well as a smaller % of kids shoes. Typically heavier in Adult Men shoes. These are New Overstock shoes and will be unused and brand new. Please refer to the partial manifest above to see approximate Brand breakdown per 100 pair pallet. 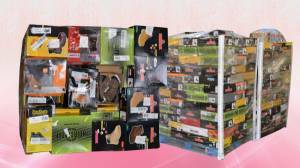 Guarantee: 100 New Overstock Pairs per Pallet: 1 matching pair per box (no mismatches). All seasons typically available & generally split between Spring/Summer & Fall/Winter. Please refer to available loads to see current available Seasons. Please note, these lots are shelf pulls and as such, may contain a small percentage of items with either signs of usage, mismatched pairs, out of box shoes, marked down pricing and/or discrepancies with the manifest. Brands include but not limited to: Liz Claiborne, Rampage, Naturalizer, Jessica, Marc Fisher, Bandolino, Clarks, Rocket Dog, Unlisted, Sketchers, Nike, Steve Madden, Puma, Converse, Bobbi Blue, Nina, Michael Kors, Anne Klein, Roxy, Joan & David, Born, Kenneth Cole, Easy Spirit, Capparas, Guess, Arturo Chang, Carlos, BCBG, Chinese Laundry, Nine West and a percentage of high end private label brands. Typically includes styles such as: Boots, Work Boots, Sneakers, Casual, Sandals, Canvas, Loafers, Memory Foam, Walking and more. Typically includes brands such as: Brahma, Dr. Scholl's, Dickies, Avia, Fubu, AND1 and more as well as Private Label Brands. 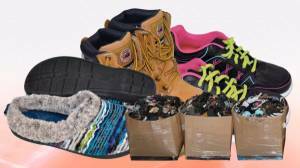 Typically includes styles such as: Boots, Work Boots, Sneakers, Walking Shoes. Please see sample images to get a better idea of mix and condition. This is an opportunistic liquidation of approx 2,173 pairs of New Overstock Maumero Women’s Leather Shoes & Boots. Sizes range from women’s 6-11. Please review manifest for details on the size runs. All goods are New Overstock and will come in their original shoe box. The shoes are all the brand Maumero and styles will include the following styles in a variety of colors: Adele, Lukia, Jackie, Maddie, and Jasper. The goods have a current retail value per pair ranging from $39.00 - $65.00. The total retail value of the load is over $108,000. Asking price is 15% of Retail, or approx $7.50/pair. Great item for Retailers, Online Sellers, Boutiques, and Export! Opportunistic Liquidation of Fashion Forward Women’s Leather and Suede Footwear. 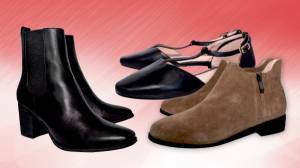 This liquidation includes 1,095 pairs of assorted New Overstock Maxx Moda Women’s Footwear. The buyer will receive over 25 different styles in a variety of colors and sizes, including but not limited to: Sasha, Roxie Ashley, Blake, Audrey, Ava, Nikki, Ryder, Carson, Danni, Carrie, Ella, Emma, Jess, Luna, Mimi, Zara, Chelsea, and many more! They will come in approx 2 dozen different colors, including but not limited to: Baby Blue, Beige, Black, White, Red, Burgundy, Sand, Navy, Pastel Pink, Pastel Purple, Cognac, Gold, Chestnut, Yellow, Soft Blue, Grey, and more! Retail prices range from $89 - $160 per pair. Total retail value of the load is $118,579.00. Your price is 8% of Retail, or approx. $8.66/pair. Great products for Retailers, Boutiques, Online Sellers, Discount Stores, Shoes Stores, Export, and More!